Do you sometimes feel that your competitors have a secret that’s allowing their business to do better than yours? Do you look at other businesses and think they are smooth sailing, while yours is weathering rough seas? If you’re like most business owners, at some stage you’ll be comparing yourself to your competitors and wondering what their secret is to getting ahead. 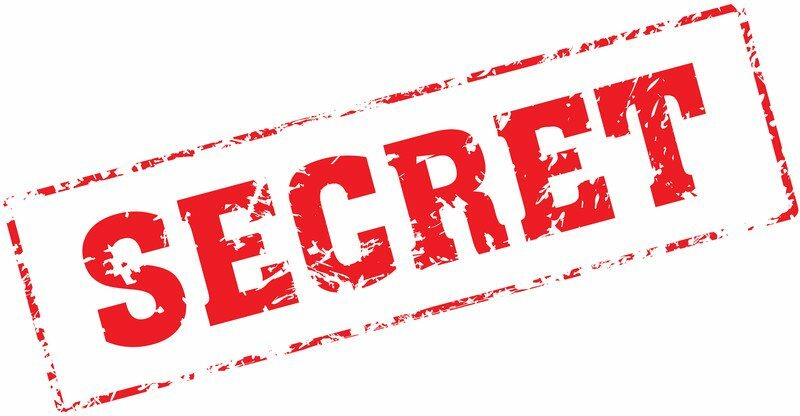 There are many secrets in today’s competitive world, and keeping your important information confidential is essential. Details about your finances, marketing, and team concerns should be shared only with trusted professionals – such as your business coach, accountant and banker. While privacy is important, this secrecy among business owners can lead to misconceptions. No-one wants their competition to know they have challenges, so you’ll usually hear business owners say “we’re flat out!” and keep up the facade that business is always great. Without knowing what other businesses go through, you may think you are the only one struggling with team issues, tight cashflow, customer complaints, or a lack of leads. You may fall for the psychological trap of ‘comparing and despairing’. Just like on social media, where it’s easy to contrast your own behind-the-scenes with others’ highlight reels, you can start to believe that everyone else’s business is doing better than yours. As business coaches, we are in the privileged position of seeing the truth behind the outward image. We don’t work with broken businesses, but rather those that want to go from good to great. No matter how successful a business is, one thing is constant – challenges, frustrations, and worries are a part of every business. As Brian Tracy says, problems are like waves on the ocean which just keep coming (with the inevitable dumpers mixed in) … problem, problem, problem, problem, CRISIS! 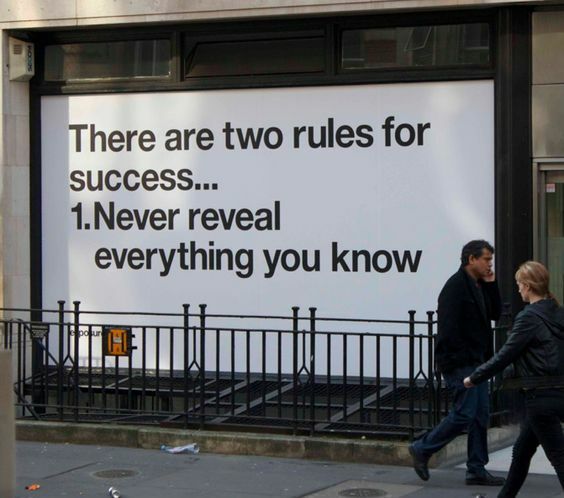 So are you ready for the two secrets? Challenges are inevitable. To get ahead you need to tackle them early while they are still small, by growing your own ability to overcome them. It’s not the business without challenges that comes out in front, but the business which overcomes its challenges the fastest. So if business challenges are inevitable, how do you ensure that you deal with them effectively? When faced with challenges in life and in business, you have three options. It may sound comical, but this is a common response to challenges. Some think that if they flee in the other direction, they can outrun any problem. Ever known someone to change their situation but end up facing similar problems down the track? Even when you run, some problems follow you wherever you go. As you haven’t learned to deal with them, you’ll be in the same position next time they appear. Just like running away, this choice does nothing to defeat your challenges or grow your own ability to deal with them. In fact, ignoring your problems and hoping they go away often makes them grow larger. It’s almost as though they increase in size to demand your attention! This is always the choice made by the most successful business leaders we know. When you choose to confront your challenges, you are forced to grow to overcome them. When you do this, instead of your problems growing, YOU grow. Next time you face a similar situation you’ll overcome it easily, and be ready to jump the next hurdle that appears. Let’s see how choosing to ignore or face your challenges can result in very different outcomes. A business owner meets with us to discuss his challenges. He started his business nearly three years ago, and it has now grown to a team of 7. His staff turnover has been high, and customer satisfaction is low. He tells us that his staff members are the problem. After initial training, they stop following procedures and start doing things their own way. Their inconsistent service results in customer complaints, and loss of profits due to inefficiencies and wastage. One or two employees started out okay – but they’ve lost their motivation and just don’t try anymore. His newest team member in particular, Tom, is dragging the rest of the team down. He tells us that he doesn’t know how to deal with this problem, that he just wants them to shape up, and that he’s angry and frustrated. He is reacting rather than responding to situations, and is losing his cool often at home and at work. I earned more money and had fewer headaches when I was working on my own. He complains that he can’t believe the bad luck he’s had with employees. “You just can’t get good staff these days”, he says. We explain a few things to help him. As he’s not giving the team direction and guidelines for performance, they are setting their own bar. When poor performance is ignored, it’s condoned. He needs to give Tom feedback and an opportunity to improve, or standards throughout the team will slide. We suggest that he learns some new communication and management skills and ways of dealing with business challenges. Unfortunately he decides that he is too busy to make changes right now. Besides, he tells us, it’s the staff that’s the problem, not him! Three months later we heard from him that Tom’s performance had deteriorated even further, and other team members got more and more frustrated at having to pick up Tom’s slack. They started leaving one by one. As the business became under-staffed, standards slipped further, and the business lost more customers and profits. The owner had since recruited a new team member, but he wasn’t happy with that person’s performance either. By ignoring the problems, the problems had grown, but the business owner’s ability to deal with challenges hadn’t. As he was finding out, ignoring problems and hoping they go away doesn’t work. In our second scenario, let’s imagine the same business owner comes to see us to discuss his challenges. Just like before, he tells us that he doesn’t know how to manage his staff. They are not following procedures, are losing motivation, and it’s impacting business results. In particular his newest employee Tom needs a lot of direction. His outlook this time is one of finding a solution, rather than focusing on the problem. He tells us he doesn’t want his frustration to impact his enjoyment of work, the service he can provide his customers, his business profits, or his home life. I want to grow my business and team, so the team can work without me there every day. The business owner has clear goals for his business, and doesn’t have time for distractions. He knows he needs to deal with this problem before it grows. He decides to learn some new management skills, knowing that to get a different result he needs to change his own actions. As he puts into practice what he’s learned, team morale improves. The team creates a company culture or ‘rules of the game’. The standards rise, and he finds the team members holding each other accountable to perform to their best. He gives Tom feedback, support, and extra training, but unfortunately Tom’s performance doesn’t change. After receiving a written warning, Tom chooses to resign. The other employees are relieved that they no longer have to take up Tom’s slack. This business owner has a new problem – he now has to replace Tom as they enter their busiest season. But now he has skills and experience in dealing with underperforming employees, and can focus on a solution and move forward. The team help recruit a new employee in line with their new company culture. Instead of the problem growing, the owner’s skills, ability, and confidence to deal with team issues has grown. Three months later this business has employed another two team members, and is looking forward to a year of record growth. As this business owner found out, business is a journey of constant and never-ending improvement, and problems are often the push we need to grow. Challenges are inevitable in business and in life. To be successful, we need to focus on what we can control, which is the way we deal with them. Having a solutions-focused approach and choosing to grow – rather than allowing our problems to grow – is the secret.